Early days of mom life can be quite a blur, and the rules of breastmilk storage can be confusing and overwhelming. The two together-- not ideal! I found that there wasn't one place that I could go for a quick reference of the nuances of storage, warming, combining, etc, so I created it! Want more tips? Check out my 8 tips for pregnancy and postpartum and must-have guide to pregnancy and acupuncture. In many cultures there is a focus on nurturing the postpartum mom. In Traditional Chinese Medicine there is a period called confinement that lasts 40 days. To summarize, the focus is on avoiding cold— air, and food; and keeping the postpartum mom warm inside with warm, nourishing foods. The theory is that after birth the body has been depleted and is open to let cold enter the body. Cold can negatively impact circulation and can cause health conditions in the future (painful periods as one minor example). Our culture tends to neglect postpartum care. I've created a list of a few basic tips to support a new mama postpartum. It takes a while for your body to recover from pregnancy and childbirth (many say, 9 months in, 9 months out). Many women forget that they need to nourish themselves and their baby after birth. I recommend these New Chapter post natal vitamins. Self care is extremely important. In the early days that could look like taking a 5 minute walk outside by yourself. Search for local Facebook groups or other mom gatherings. It can be so helpful and supportive to be around others going through the same phase in life. Drink bone broth daily to help nourish your body and aid in recovery. You can order a 6 pack of broth from Brodo, shipped directly to your home, frozen. It's important to drink the same amount of water you did during pregnancy, especially if breastfeeding. It's important to make sure that hydration isn't the cause of any constipation, and that you're helping your body to flush any medical interventions from your system. Check out these healing recipes from one of my favorite books The First Forty Days by Heng that revives the lost art of caring for the mother after birth. Two of my personal favorites: Oats & Chia Congee, and Chicken, Red Dates and Ginger Soup. It can take a while before a new mama can make it in to the office for acupuncture. When scheduling allows, treatments are beneficial for helping regulate hormones, supporting postpartum depression, encouraging an increase milk supply, boosting energy, and decreasing nightsweats. Fed is best and if you've decided to breastfeed, here are some products I recommend to make mama most comfortable: (Boppy pillow, Milk Snob cover, Bravado nursing camis) The rules of breastmilk storage can be confusing and overwhelming. I found that there wasn't one place that I could for a quick reference, so I created it! I created a downloadable breast milk refrigerator guide. Want more mom advice? Read my For the Mama's Molly's Must-Have Guide to Acupuncture and Pregnancy. and a downloadable breast milk refrigerator guide. First trimester: Make weekly appointments to support growth, development of baby and to minimize common side effects such as: nausea, fatigue, constipation and bloating. 2nd trimester: Many know this as the honeymoon phase of pregnancy, energy levels pick up, and many of the first trimester symptoms disappear. If your pregnancy symptoms (nausea, fatigue, constipation, etc) have not subsided, continue with weekly sessions. If they have, and you're feeling great, drop to every other week, or once a month. 3rd trimester: Time to prep for the big day! It's ideal to start coming in more frequently (once a week) to help the body begin to prepare for labor. By 34 weeks most moms know if baby is head down or breech. Acupuncture is very effective at encouraging a breech baby to turn. Other commonly treated symptoms in the third trimester include hip pain, back pain, fatigue, and swelling. I recommend a prenatal vitamin because they are a way for mom and baby to get vital nutrients and are key to development. 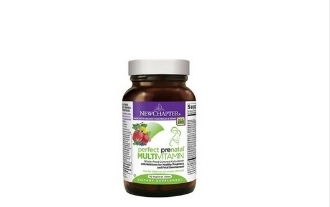 New Chapter's Perfectly Prenatal vitamins are organic, made from whole-foods, easily digestible, and don't contain added sugar. 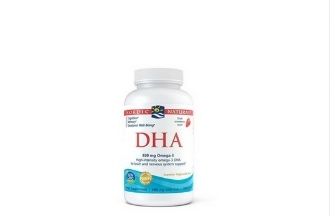 DHA vitamins support the brain, nervous system and visual development in babies. My favorite oil for stretch mark prevention is Dr. Hauschka's blackthorn oil. I used this on my belly daily in the morning and evening. Keep in mind that there is a genetic component to stretch marks (if your mom had some you may be more likely to have them, too)! 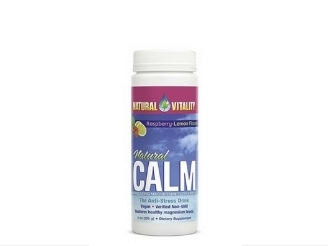 Calm is a magnesium and calcium supplement that is best to take before bed. It aids digestion by helping to relieve constipation. The supplement also helps with muscle cramping, and anxiety (magnesium deficiency can be the cause of anxiety or exacerbate an existing anxiety condition). The fit splint was my favorite belly band support for working out while pregnant and postpartum support. It was designed by a physical therapist who works with elite athletes too. Ina May Gaskin is a well-known midwife. Her guide to childbirth is very informative on all aspects of labor and delivery. The second book about breastfeeding is also very helpful. Having a doula was very helpful for me. As a first time mom I didn’t really know what to expect as I prepared for labor. Having a seasoned doula was so supportive to my pregnancy. She answered my questions, gave me exercises, helped me write a birth plan and understand all of the interventions that could be presented. I highly recommend Baby Caravan as the support I received from my doula was invaluable to my pregnancy. Want more pregnancy tips? Check out my 8 tips for postpartum and breast milk guide for your fridge! Aug 8, 2016 5 Chinese herbs to Have on Hand!